PayPal is one of the world’s largest online payment methods. This deposit method is available in Ireland and the United Kingdom. Not all betting sites accept this payment method for real money betting though so be sure to check. Setting up an account is free and easy to do. You just visit the PayPal website and provide your name, email address, address, bank or credit/debit card details, and date of birth. You will have to verify your bank account to make withdrawals. Having an account is free as is making payments, but there are fees for some services such as currency conversions and receiving payments. First of all, let’s take a look at the advantages. The PayPal service is free and setting up an account is quick and easy. It is one of the safest payment methods and you can deposit and withdraw funds from online bookmakers with ease. All the data is encrypted too. It offers quick deposits that are usually instant. You can transfer to your money to your bank account. Currency conversions are automatically applied. You can use the mobile app for deposits and withdrawals. There are very few disadvantages to using PayPal. Not all bookmakers accept it, but the number of sites in Ireland is growing. There can be small fees involved on your transactions. 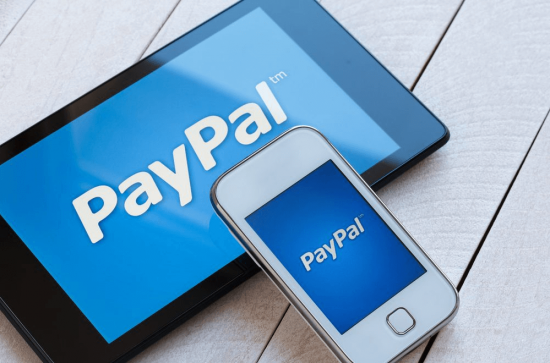 Fans of sports betting in Ireland will be happy to know that a lot of sites now accept PayPal. To make a deposit all you have to do is visit the bookies cashier section and choose PayPal from the list of options. Enter the amount that you would like to add to your bankroll and then hit the deposit button. You will be taken to PayPal to login and confirm the transaction before being redirected back to the bookies site. The deposit is instant and you can start placing bets right away. Be sure to check for special payment option bonuses too as many online gambling sites have these. Withdrawing your winnings is easy and just as simple as making a deposit. Step 1: Go to the cashier or banking section of the website and choose PayPal as your withdrawal method. Step 2: Enter your PayPal details and the amount you wish to withdraw from your account balance. Be sure to check the minimum and maximum requirements first. Step 3: Confirm your cashout request and wait for the money to appear in your account. Step 4: Once the money arrives you can transfer it to your bank account. Withdrawal times can vary from site to site and it can take anywhere from a couple of hours to a couple of days. Some sportsbooks for Ireland will also have pending periods on all withdrawals.